Let’s start at the beginning. The post-WWII rise of the American Suburb led to the development large suburban shopping malls and specialty retail chain stores. Flash forward a few decades and those specialty retail chains were devoured by big box retailers who could crush the competition with cost, pricing, and selection advantages. The internet leveled the playing field. It afforded budding brands the opportunity to develop and launch more quickly, while wresting control away from the big box retailers who ruled nearly every aspect of the consumer relationship. Almost instantly, brands could now build direct + personal relationships with their customers—from marketing + communications, to insight-based product development, to complete ownership of product distribution, which incidentally let these DNVBs cut costs and compete faster, stronger, and harder (cue Daft Punk + Kanye). And unlike their big box brethren, DNVBs had the luxury of centralized and streamlined operations. They didn’t need to build/rent, stock, and staff a bunch of individual stores. They could hit the ground running with just a site and some stock. 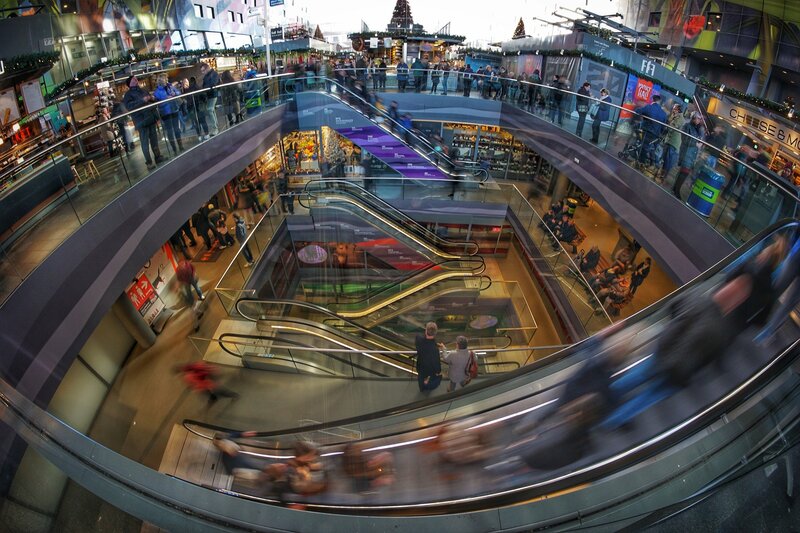 E-Commerce isn’t leaving physical retail in the dust. It’s actually resulting in a physical retail renaissance that’s changing the game. But ultimately, it was DNVB’s hyper focused emphasis on the holistic experience that was responsible for their meteoric rise and retail reshaping. Technology lets DNVBs scale quickly and develop what felt like direct, one-on-one personal relationships. Andy Dunn, the CEO of the digital darling Bonobos, credits DNVBs for their maniacal focus on the customer experience, which can be felt by the ways DNVBs interact, transact, and story tell. That hyper focus translated into customers feeling like they had a special relationship with the brand, reflected and reinforced through real-time social media communication, radical transparency, and insanely-personal customer service that felt less like service and more like friendship. Take Glossier for example. The direct-to-consumer skincare and cosmetics brand known for its renegade approach estimates that it owes 90% of its revenue to its fans on Instagram, versus paid or built marketing. And though the company doesn’t disclose its revenue numbers, it’s been reported in TechCrunch that the company saw three times as much revenue in 2017 as in 2016. It might seem counterintuitive, but the rise of renegade online retail has actually made physical retail more tantalizing than ever. The visit-or-miss-it immersive pop up experiences of the last few years have made consumers craving the real thing, and for the long term. And now, DNVBs have realized that it’s IRL FTW (in real life, for the win). But don’t get it twisted, it’s not an either/or situation. Brick-and-mortar retail is where DNVBs go to deliver immersive physical experiences that complement the digital ones: where stores are reimagined as Instagram playgrounds, with #content moments thoughtfully scattered in all the right places; where stores are showrooms of highly curated wares, giving customers the feeling that they’re partaking in an experience meant just for them. And before we get too mushy about “just-for-me experiences”, it’s not just about the feels. It’s also about the bottom line. DNVBs have quickly realized that bridging the digital-physical divide has a significant impact on their revenue. Not only do physical stores drive higher conversion rates and increase average purchase values, they increase the lifetime value (LTV) of a customer (LTV is the prediction of the net profit resulting from the entire future relationship with a customer). Research shows that consumers who shop online and in-store have a 30% higher LTV than consumers who only shop through one channel. Not to mention that physical locations bump up online search results and brand mentions, which typically go hand-in-hand with product sales. But don’t just take our word for it. Some of the early DNVBs in the game like Warby Parker and Bonobos have increased their retail space tenfold over the past five years.